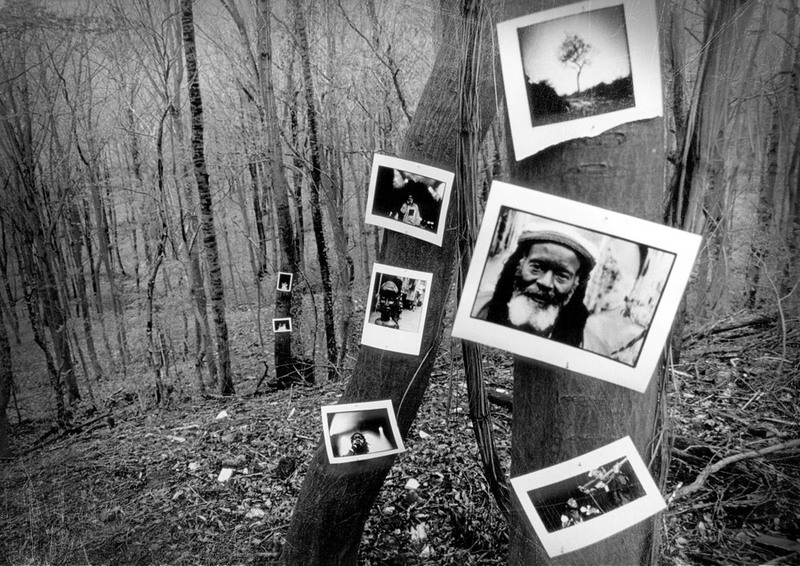 Photo Reggae in nature 3 black and white photo shot by Floyd Celluloyd for Innermann a decade of reggae photography. Please respect the copyright. Do not use the photos without written permission. Your donation helps me to get 500 copies of the "Innermann" project printed as a book. Please consider a donation. Give thanks to every supporter of the project. You send me hope. Jah Jah light all time. Black and white photography is the purest form of expression to me. No freaky colours, just reducing the photo to the maximum. Photography and Reggae is my perfect personal combination. It is a mental ting. Be convinced of what you do and you will receive your reward one day. With a little donation you can become a supporter of the project. That helps me to get all the pictures published in a book. If you think you want to become the sponsor of the project just get in contact with me. Different forms of sponsorships are possible. Any help is appreciated to fulfill my dream. Jah bless. I went outside for a few days to shoot new photos. Creating new compositions with the help of existing photos. This was a very nice and interesting point of view. After I recognized, that a lot of people stopped by while I was shooting the photos, a new idea was born. Why not make an exhibition outside? Photos should come to the people where they don´t expect them. So I watched out for some well populated places in Stuttgart. Nature was my gallery. The best days were Saturday and Sunday. A lot of people went for a walk outside. I woke up early in the morning and hang up about 50 photos along the way. Was it a successful presentation of my work? Of course. It is much different than presenting my work inside. People couldn´t see and talk to me outside, because I was in the background. I didn´t sell one single picture, but that was not my goal. Instead of selling the photos I saw a lot of people, who were amazed about my work. Some noticed my phone number and called me back later. This meant a lot to me. A few people just took some of the photos with them. I wouldn´t call it burglary, I would call it "the highest form of respect for my work".